Today we’d like to publish something completely different for a change. We have collected over 50 splendid photographs that are simply too good to miss. Perfect timing, perfect place and perfect situation is what makes these photographs so beautiful and love-able. The displayed photos are really nice i am waiting for more nice pictures. I loved “Grab” makes we want to get out and climb! It captures the exhilaration of climbing so well. 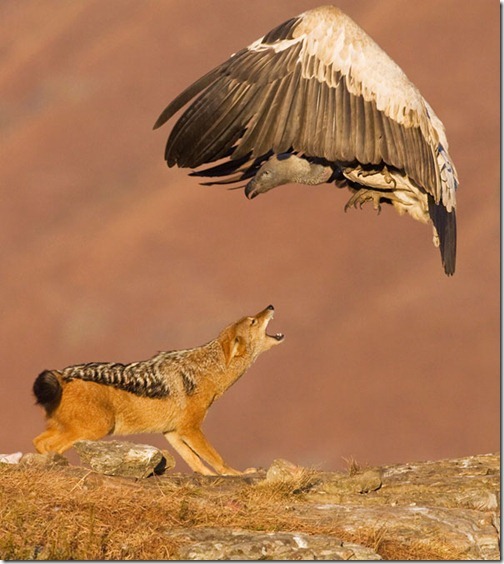 Wow – is that fox vs the buzzard photo real? ?